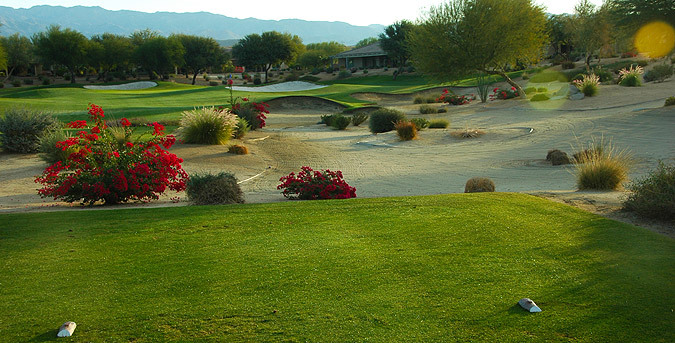 This course has undergone a bunker renovation project that features high quality sand. The photos in the review below were taken in late November, 2018! 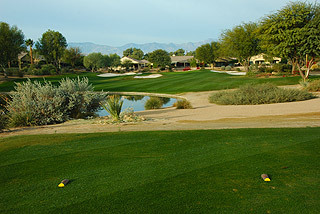 The North Course at Shadow Hills is a fine compliment to the championship course – a tremendously beautiful par three course which presents an opportunity for golfers of all skill levels to be challenged as they work on their iron game, while enjoying spectacular conditioning and gorgeous desert mountain scenery. 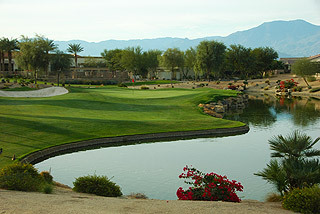 The course winds through a gated residential community. The Clubhouse features top notch amenities for members of the club, including various meeting and event rooms, a complete gym with running track, swimming pool and Jacuzzi tub, plus comfortable seating on an outdoor patio with fireplace. There is a practice green on property. 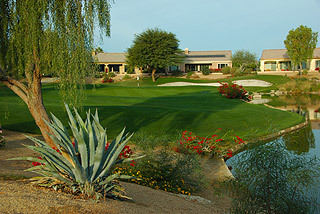 Golfers wishing to enjoy restaurant facilities need only drive less than 1 mile to the championship facility. There are 3 sets of tees that play from 2999, 2625 (optional 2568), and 2106 (optional 2063) yards. The tee boxes are marked and pin placement charts are posted on each cart, which also have weather protectors. 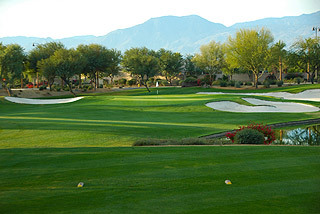 The 18 par threes play from 211 yards to 90, with plentiful bunkering and water hazards. 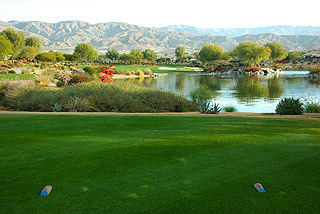 The landscaping features desert flower beds near the tees and several man-made cascading waterfalls. There are 42 intricately shaped, deep walled sand bunkers, but with all the sandy waste areas it seems there are many more. These sand traps are similar to the whale bunkers found on the championship course. 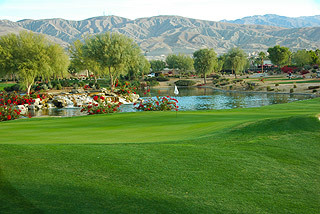 Water comes into play on 10 holes, 6 of them on the front side. The back is a little more open with more waste areas. The greens are similarly large and undulating, with mounds and nearby collection areas. There is often plenty of room greenside for recovery, and though quite of few holes demand carries, the hazards can generally be avoided. 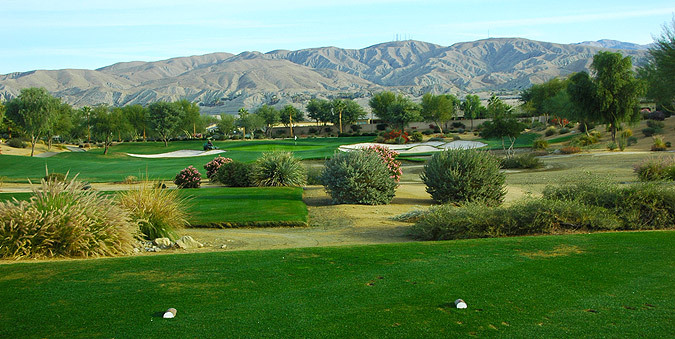 This makes for a pleasant experience for beginning players as well as seasoned golfers. 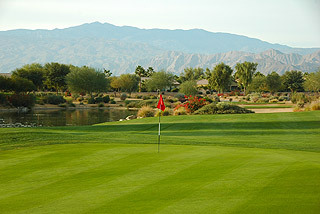 Great rates available – we highly recommend a round here! For more info, visit our page for the course with direct link to their website by clicking here. 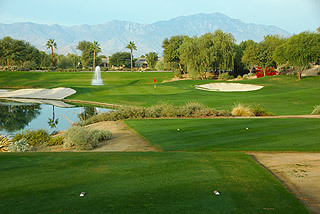 We also recommend the championship layout – for a review of this course click here.